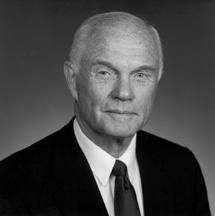 John Herschel Glenn, Jr., is a former Marine Corps aviator, engineer, astronaut, and the United States senator. 1. 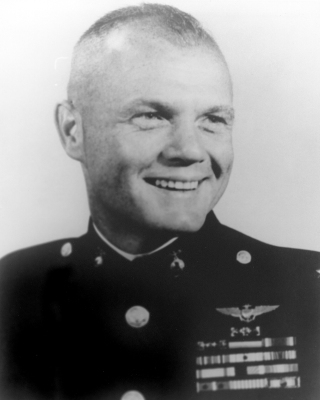 John Glenn was a star before joining the Mercury program. Glenn had fallen in love with flying at an early age, building model airplanes while growing up in Ohio. In 1941, Glenn discovered a U.S. Department of Commerce program looking for students to train as pilots. 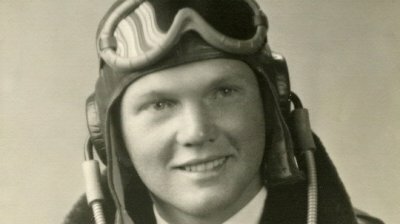 Just six months after Glenn received his license, the Japanese bombed Pearl Harbor, and he enlisted and was eventually assigned to the U.S. Marine Corps. Glenn flew 59 missions in the South Pacific, where one of his wingmen was baseball legend, Ted Williams. After serving in the Korean War, Glenn was appointed to a naval test pilot program, where he completed the world’s first supersonic transcontinental flight in 1957. Glenn received an enormous amount of publicity following this feat, which brought him to the attention of the NACA, the predecessor to NASA, who selected him to become one of the Mercury 7 astronauts. 2. John Glenn gave his space capsule the name Friendship 7. The official name for Glenn’s mission was Mercury-Atlas 6. “Mercury” for the mission program, itself named after the Roman god of speed, and “Atlas 6” to indicate that this was the 6th mission to use the new, faster Atlas rocket as a launch vehicle. As was common practice among most pilots, the astronauts selected for the Mercury program often gave their capsules personal nicknames–Glenn asked his children for suggestions on what he should name the vessel, finally deciding on the word “Friendship” and adding the number “7” to honor his fellow Mercury members. 3. Glenn’s mission was delayed numerous times, leading to concern and anxiety. Originally scheduled for December and then pushed to January 13, problems with the new Atlas rocket that would serve as the space capsule’s launching pad caused a two-week delay. On January 27, with Glenn already onboard the tiny capsule, poor weather conditions forced another series of postponements. Television crews were already set up to broadcast from both the launch site and Glenn’s home, where his wife, Annie, and children were anxiously watching. When the mission was scrapped, the reporters, accompanied by none other than Vice President Lyndon Johnson, tried to gain access to Glenn’s home in hopes of interviewing his wife. Annie refused, and when John heard about the pressure put on his wife, he backed her up, leading to a clash with officials. The launch was delayed yet again on January 30, after a fuel leak was discovered, followed by yet another weather delay. Finally, with all mechanical issues solved, and fair weather forecasted, Glenn was once again strapped into Friendship 7 early on the morning of February 20, 1962. Scott Carpenter, the backup astronaut for the mission, uttered the phrase most associated with man’s first orbit of the Earth. 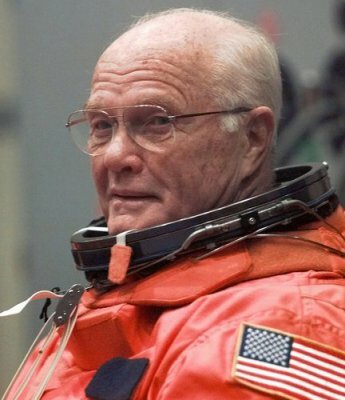 As mission control performed its final system checks, test conductor Tom O’Malley initiated the launch sequence, adding a personal prayer, “May the good Lord ride all the way,” to which Carpenter added, “Godspeed, John Glenn.” Carpenter later explained that he had come up with the phrase on the spot, but the phrase did have meaning for any test pilot and astronaut: “In those days, speed was magic…and nobody had gone that fast. If you can get that speed, you’re home-free.” The phrase became part of the public consciousness. However, Glenn himself didn’t hear Carpenter’s comment until he had returned to Earth. Due to a glitch in Glenn’s radio, Carpenter’s microphone wasn’t on his frequency. 5. There were several scary moments aboard Friendship 7. The launch of Friendship 7 went flawlessly, and Glenn encountered few issues in the early stages of the flight. During his second orbit, mission control noticed a sensor was issuing a warning that Friendship 7’s heat shield and landing bag were not secure, putting the mission, and Glenn in danger. Officials did not immediately inform Glenn of the potential problem, instead asking him to run a series of small tests on the system to see if that resolved the issue, which eventually clued Glenn into their concerns. After a series of discussions, it was decided that rather than following standard procedures and discard the retrorocket (an engine designed to slow down the capsule upon reentry), Glenn would keep the rocket in place to help secure the heat shield. He successfully reentered the Earth’s atmosphere and splashed down in the Atlantic Ocean after a flight of 4 hours and 55 minutes. When officials inspected the recovered capsule, they determined that the heat shield had never been in danger and a faulty sensor had caused the problem. 6. The truth behind the mysterious “fireflies” that John Glenn saw. During the first of Glenn’s three orbits, he reported seeing a series of small particles floating outside his capsule. As he reported to NASA, he had never seen anything like it, and he thought it looked like a series of stars were surrounding him. Glenn referred the specks as “Fireflies,” and tried banging on his capsule walls to see if he could make them move, which he could. NASA scientists feared it was malfunctioning part of the space capsule though some thought Glenn’s vision was caused by a medical condition he encountered while in space while others tried to find a more spiritual meaning to the celestial “fireflies.” So, what were they? The mystery was solved later that year, when another Mercury astronaut, Scott Carpenter, made his orbital flight aboard Aurora 7. Carpenter also reported seeing the particles, and to him, the looked like snowflakes. Turns out, Carpenter was pretty close to the truth. They were indeed bits of frozen condensation on the capsules’ exterior that broke off as it moved from through areas of varying temperatures. 7. Glenn’s returned to space, 36 years after Friendship 7. 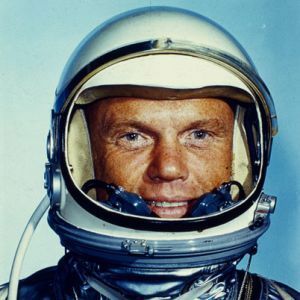 John Glenn remained with NASA until 1964 but did not return to space in any of the later Mercury missions. It is believed that President Kennedy and other government officials, well aware of the symbolic importance of the first man to orbit the Earth, ordered NASA to keep him grounded, for fear of his being injured or killed in a space program that was still, in many ways, in the developmental stage. Glenn returned to Ohio, where he became a successful businessman. He later entered politics and was elected to the U.S. Senate in 1974, serving four terms. Glenn maintained close contacts with NASA and often spoke of his regret at not having been part of subsequent missions, including the Lunar landings. In 1998, however, John Glenn got his wish and returned to space. Though it had been more than 35 years since he had last suited up, Glenn was selected as part of the crew aboard the space shuttle Discovery. His participation, at the age of 77, would allow scientists to study the affects of space travel on the elderly. 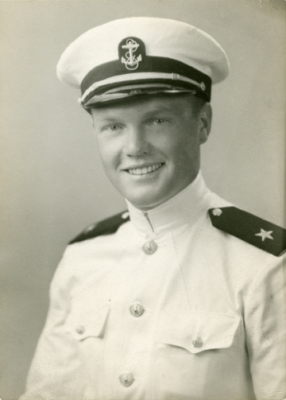 When Glenn returned from the nine-day mission, he and his fellow crew members were welcomed home with a ticker-tape parade in New York City, marking the second time Glenn had received such an honor.